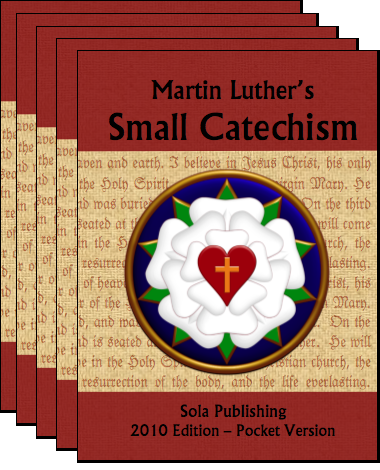 The Sola 2010 Edition of the Small Catechism is a faithful word-for-word translation from Luther's German Catechism. 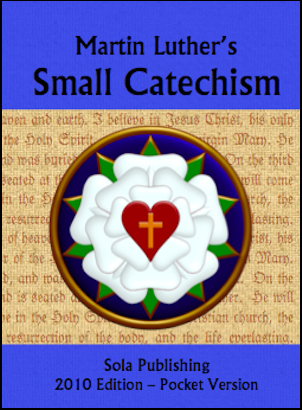 It also includes the section on the Office of the Keys, added later to Luther's Catechism. 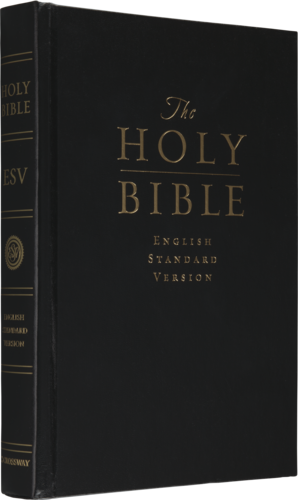 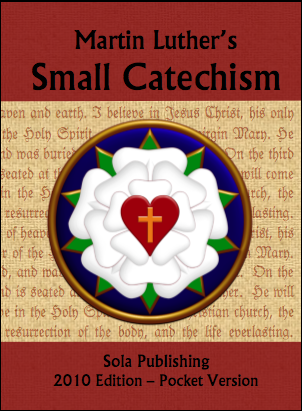 This pocket edition includes quotations from the English Standard Versions (ESV) of Scripture, and the traditional ICET liturgical texts (as used in the Lutheran Book of Worship). 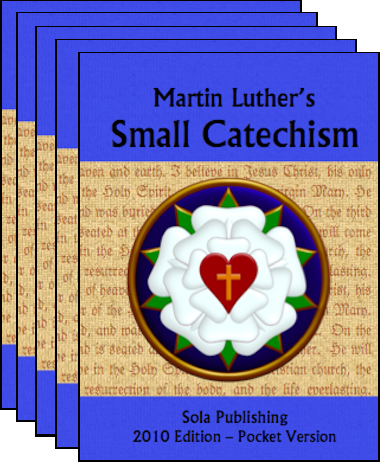 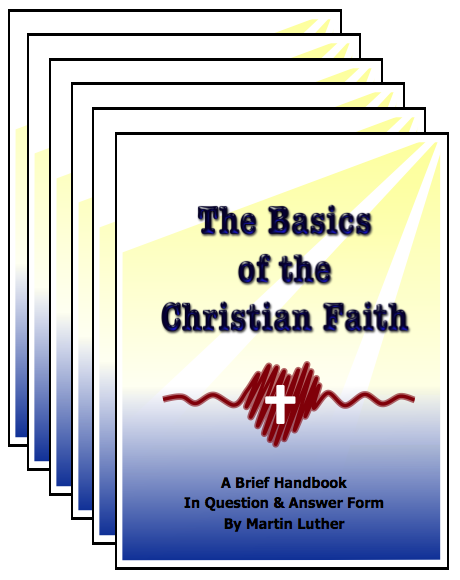 > Click (HERE) to order Sola Small Catechism in pack of 100 at discounted price!